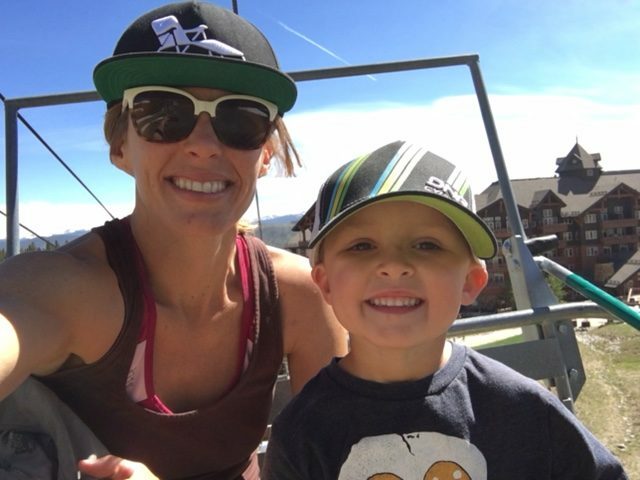 My four-year-old son Jarle (pronounced Yarley) has spent a lot of time on Peak 8 at Breckenridge Ski Resort, as he learned to ski over the last couple of seasons. So when I told him that we were heading up to the mountain on Friday, he furrowed his brow and asked with a concerned tone, “But there’s no snow??”. Though his question insinuated that perhaps mom hadn’t thought this hair-brain idea through, I assured him I had. 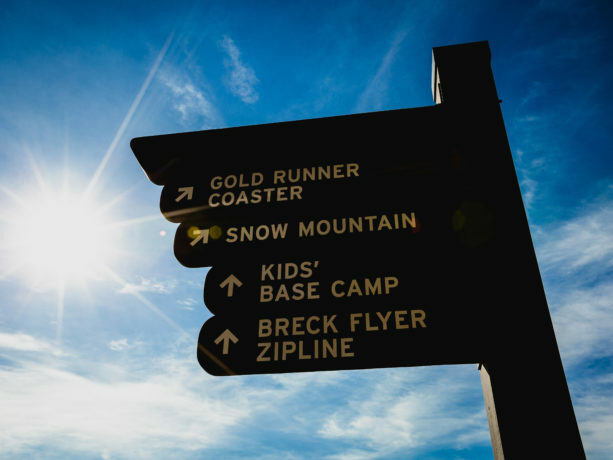 “We are going to Peak 8 Base Camp for Summer Activities – like roller coasters!” His face turned from concerned to amazed – and we started talking about all the summer activities he could do at Peak 8 Base Camp. 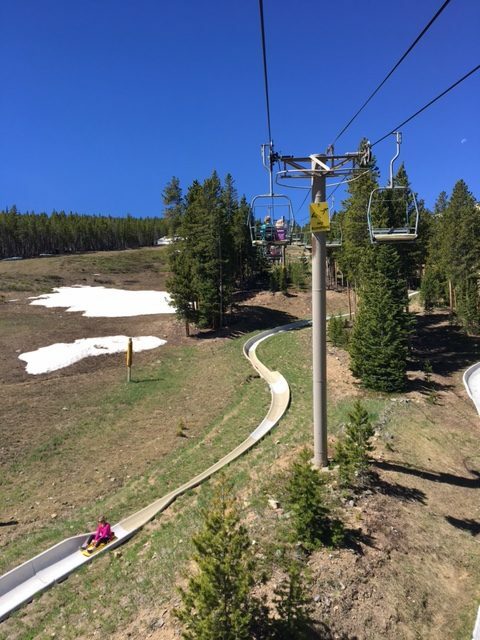 So Friday morning rolled around, and it was a perfect Breckenridge day – about 70 degrees and sunny with a slight breeze. 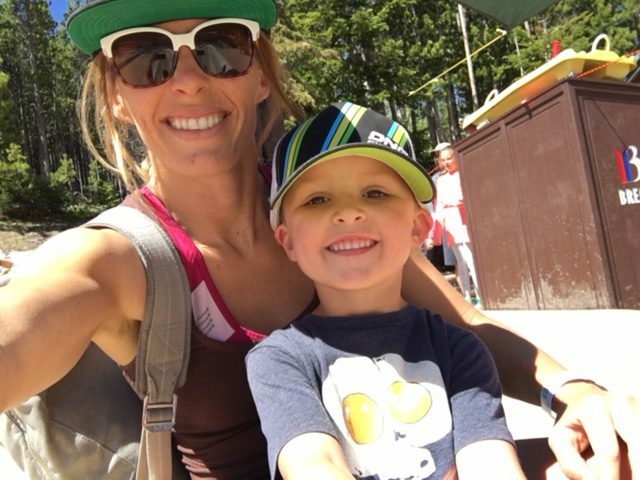 We grabbed our sunscreen, water bottles, and baseball caps and headed out the door to meet a bunch of friends at the Breck Connect Gondola. Apparently when you mention you are going to Peak 8 Base Camp, everyone wants to join. We ended up with two more kids from school, a couple older kids from the neighborhood, and another mom (thank goodness). Well, the more the merrier! We loaded the gang up for the 10-minute ride to Peak 8. As we rounded the corner on the gondola and made our way to the base area, we caught a glimpse of the Peak 8 Base Camp, and the kids got more excited for all the activities included in our Adventure Pass. 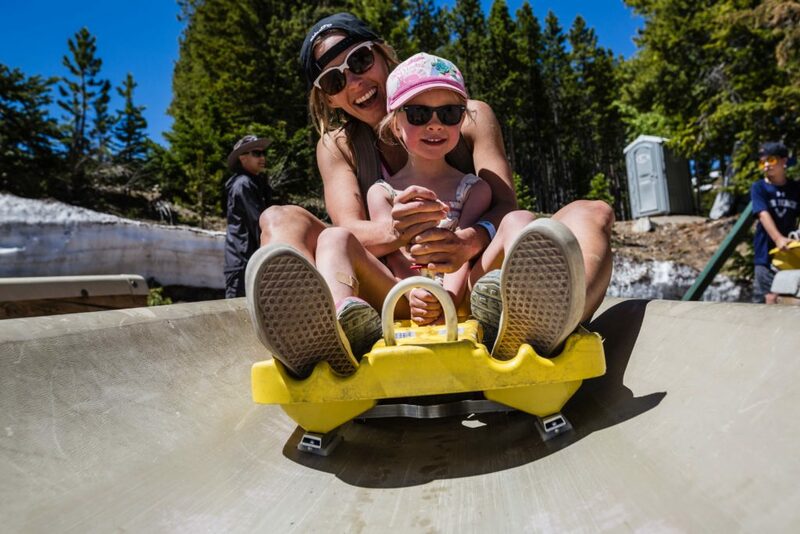 We had unlimited access to the GoldRunner Coaster, the Alpine Slide, the Lil’ Climber Ropes Course, the Gold Summit Climbing Wall, and 9 other hands on activities for preschool tots, school age kids, and of course the parents too! First stop, the Alpine Slide! I wasn’t sure if Jarle would get scared on the slide or not, as we had never done anything like it before. But he was a natural. The only thing that scared him was the thought of losing his favorite baseball cap. He hooted and hollered the whole way down and he immediately got in line for another turn. We lapped the Alpine Slide for at least 4 runs, with just a brief chocolate milk and muffin break at Ski Hill Grill to keep the kids energy high. I had to remind the gang that there were 12 other activities, and with that, we dashed over to the GoldRunner Coaster. The GoldRunner Coaster is genuine roller coaster that loops and twists down Peak 8. The riders are in control of their speed, with a hand held control that you can pull back to engage the brakes, or push forward to go max speed. After our successful runs on the Alpine Slide, I had no doubt that we would be opting for the latter. I had forgotten how much I liked roller coasters too, and was just as eager as the kids to go for round 2! 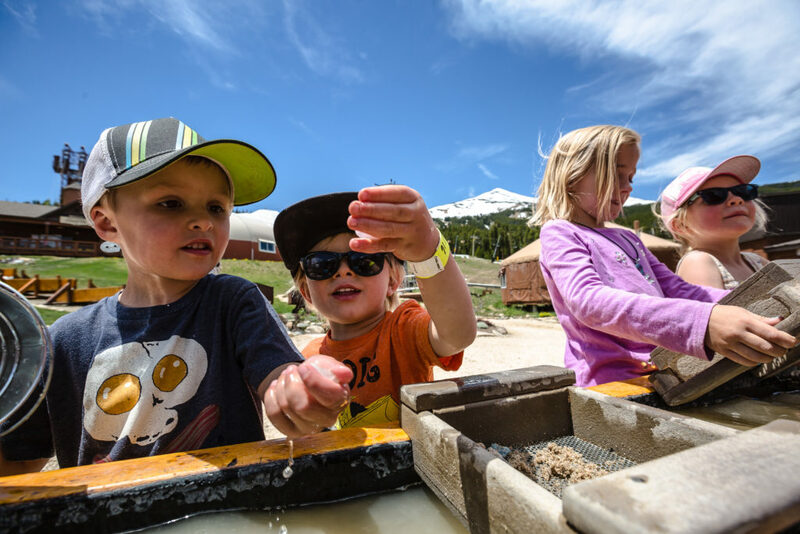 After almost a dozen runs on the Alpine Slide and the Gold Run Coaster, it was time to take it down a notch and go check out the Gemstone Panning, an interactive activity simulating the gold panning that brought miners to Breckenridge in the 1800s. This activity gives a little historical context for the kids visiting this old mining town, and also a great souvenir – a bag of gems to take home and remember their Breckenridge adventure (souvenir included in the Adventure and Explorer Pass). Jarle carried his bag of gems around with him all day, and even slept with them that night. 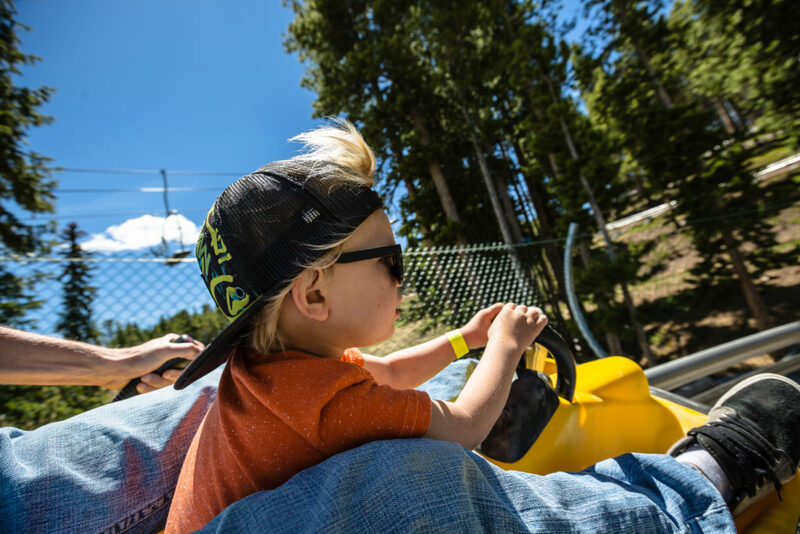 The Peak 8 Base Camp is a must do for families visiting Breckenridge, and also for the locals like us! 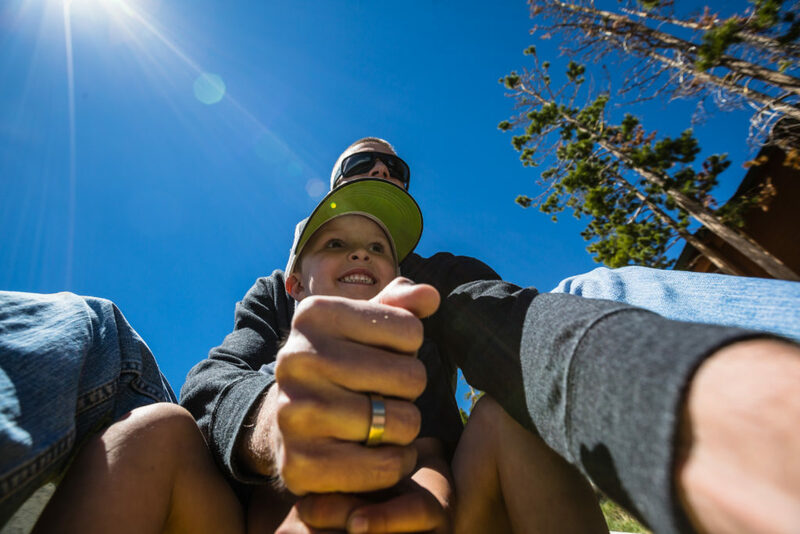 Whether you opt for the Adventure Pass or the Pioneer Pack, the whole family can play together, make memories, and enjoy the great Colorado scenery. 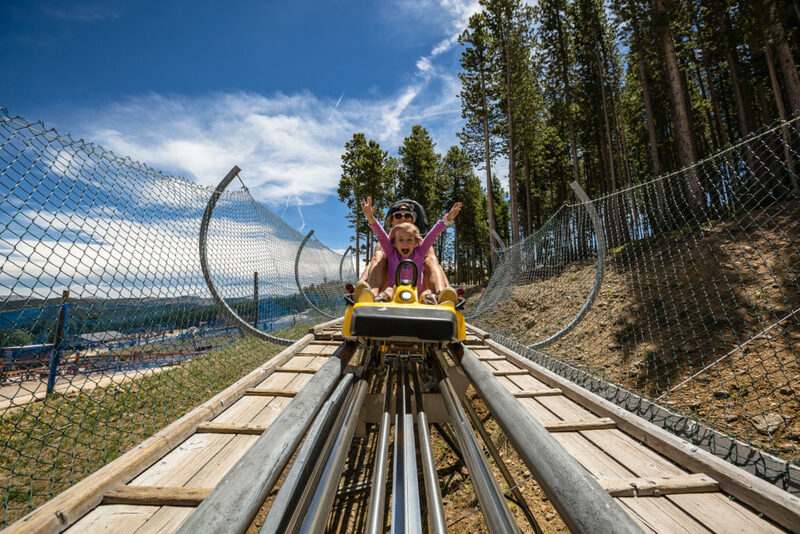 Next adventure for mom and Jarle, we are going to check out Breck’s Epic Discovery, including the Expedition Zipline Tour and the Alpineer Challenge Course. See you up there! Ebeth & Jarle riding up the chairlift for the first run on the Alpine Slide. View from the chairlift, with some snowy patches where the Park Lane terrain park jumps were. Here’s a peek at the 2018 Epic Discovery Pass breakdown. Visit the Epic Discovery page for more detail.